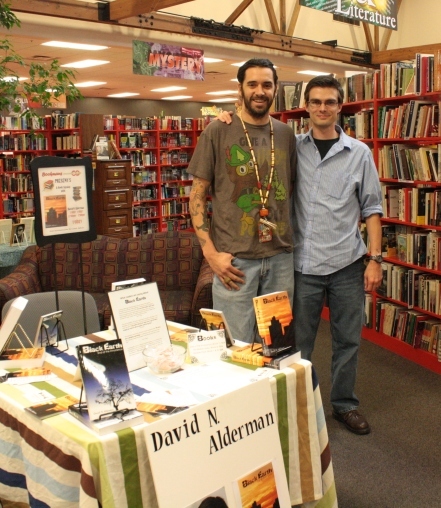 I had my third book signing promoting my latest novel, Black Earth: The Broken Daisy, this last Saturday at the Tucson Speedway Bookmans. If there’s one thing I’m noticing during this slew of book signings, it’s that I’m doing much better this time around. When I originally did signings and promotion for End of the Innocence, the first book in my series, I didn’t really know what I was doing. I would stutter and mumble when others asked what my book was about, I’d become reluctant to greet people coming to my table, and I never asked any of the book stores if they’d like to stock my book. I guess I can chalk up most of my dismal success the first time around to shyness and the shell that I am successfully breaking out of this time around. 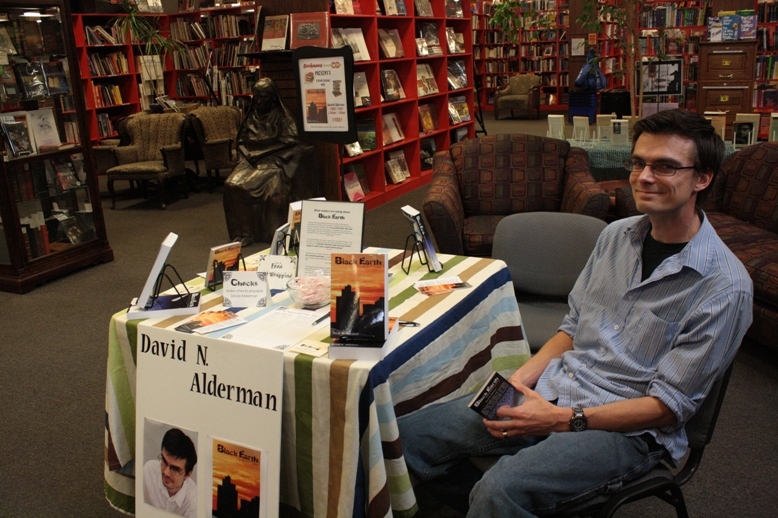 In the two and a half hours I spent at the Tucson Speedway Bookmans, I managed to sell 26 books. That included three double packs (sets of both books in my series) and ten of each book sold to the book store to stock on their shelves. 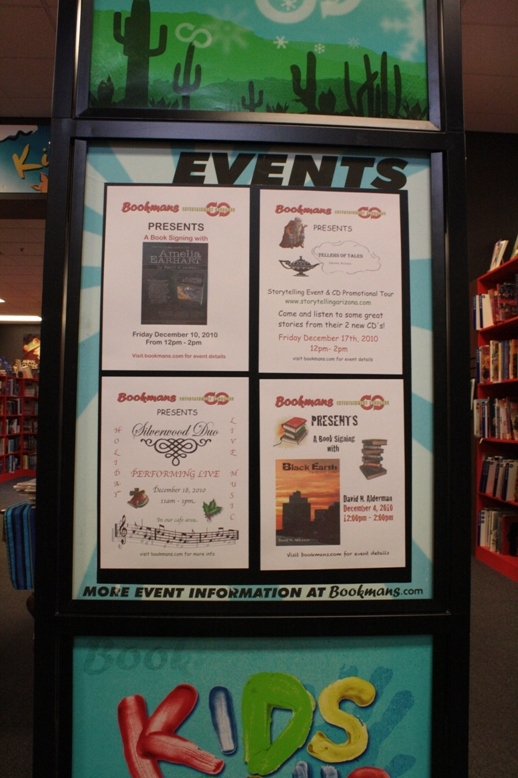 When I first arrived at the book store, I was told they had fielded 4-5 phone calls from customers asking about my signing before I even showed up. While I was setting up my table, one woman approached me, bought books already in hand, and asked me to sign them while another woman approached the table all ready to purchase a double pack as a gift. This makes the very first instance where someone not related to me has approached me at a signing simply to have their books signed as opposed to purchasing them there at the signing. Special thanks to Anthony for allowing me to do this event in his store.